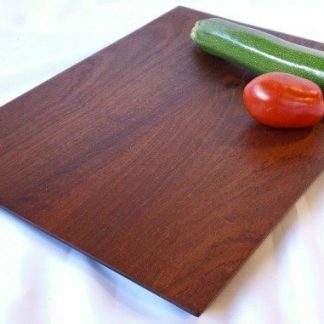 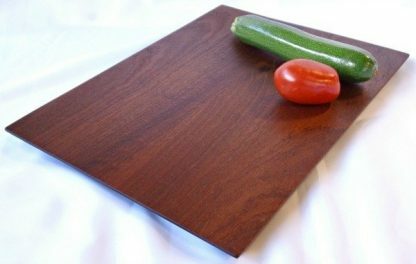 Front view of our 16″ x 12″ Veggie Board made of shimmering, quarter sawn mahogany. 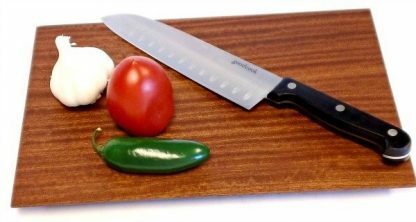 Lightweight and handy, it measures 3/4″ thick and features beveled edges for a modern look. 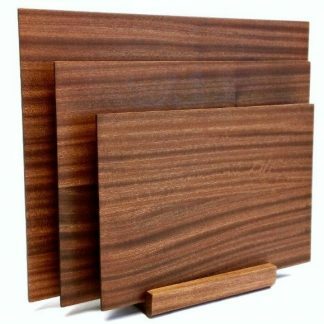 Purchase includes engraving options for the back. 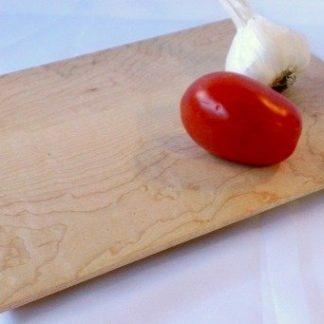 Finished with a blend of mineral oil and beeswax. 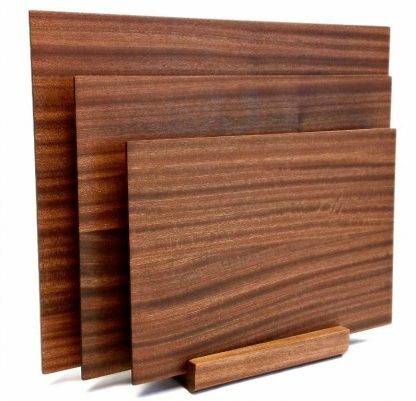 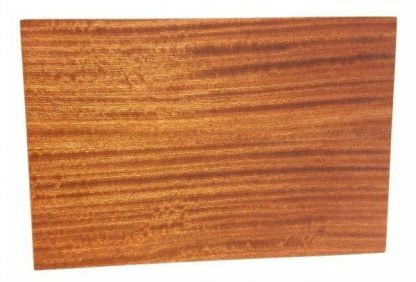 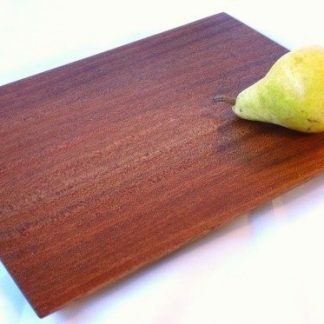 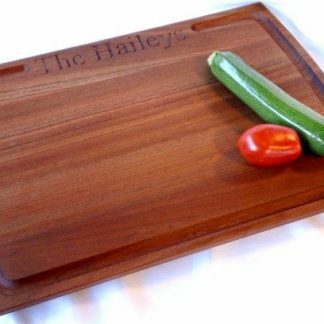 The Veggie Board is the largest board (16″ x 12″) in our Trio Set, made of shimmering quarter-sawn mahogany. Lightweight and handy, it measures 3/4″ thick and features beveled edges for a modern look. Purchase includes engraving options for the back. 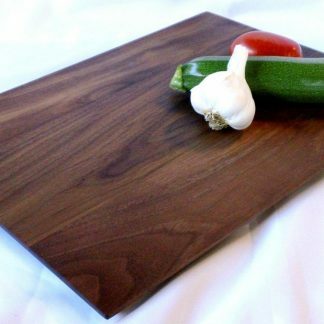 Finished with a blend of mineral oil and beeswax.